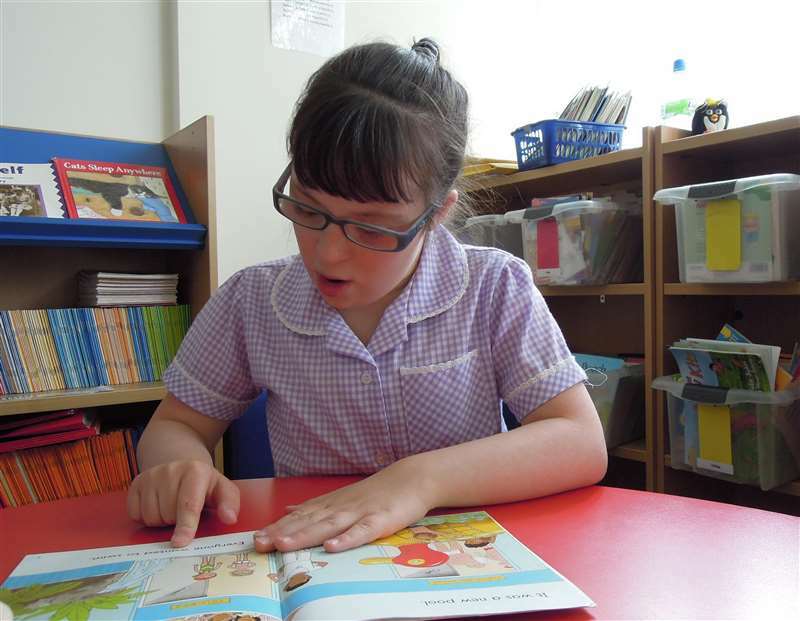 The Reading and Language Intervention for Children with Down Syndrome (RLI) is a teaching programme designed to improve reading and language outcomes for children with Down syndrome. It supplements and supports regular teaching with daily one-to-one intervention sessions. The intervention sessions follow a consistent format within which instruction is carefully targeted to the individual student. RLI incorporates best practice in carefully-structured activities delivered in fast-paced daily teaching sessions. RLI includes a reading strand and a language strand, each of which includes several components. The intervention follows a prescribed framework within which content and teaching are tailored to meet individual needs. It was evaluated in a randomised controlled trial and found to improve rates of progress compared to ordinary teaching.